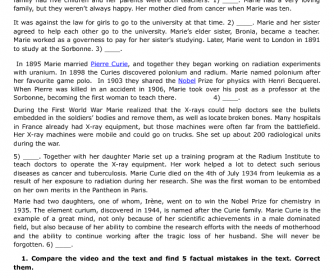 This worksheet is a reading comprehension activity combined with watching a video. 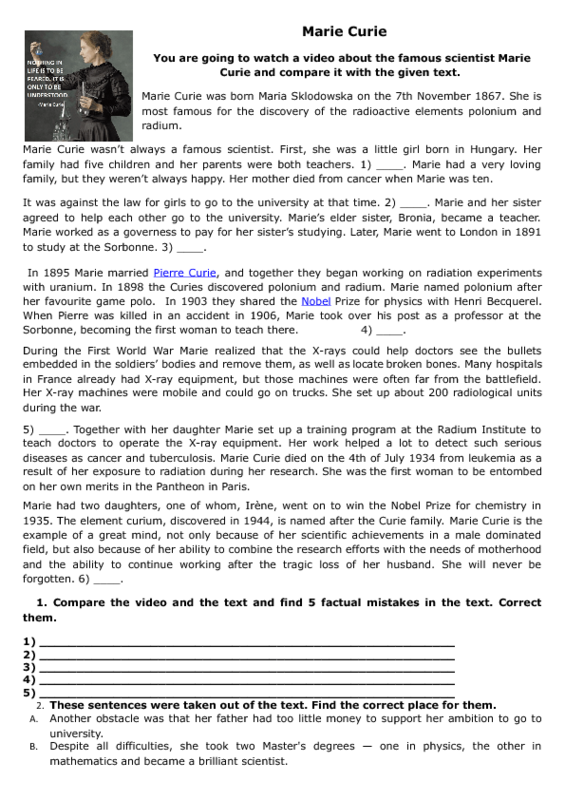 Your students will learn about the life and discoveries of a famous physicist Marie Curie, compare the video and the text trying to find factual mistakes. They will also do the word search based on the text, as well as two more interesting activities.